See also Recent Info in the Delegates section for more detailed info. Why Choose the Coop Approach to Managing Town Owned Networks? 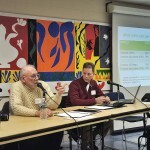 Bob Labrie and Tim Newman answer questions about WiredWest’s Regional Broadband Solution on WGBY’s Connecting Point. With the start of the new year, we want to thank your supporters and share with you our new plans for moving forward in 2017.
Who Is Killing the Towns of Western Massachusetts? by Susan Crawford. Reprinted from BackChannel. Read the original article. It may be the governor. In the State House. With the lobbyists. WiredWest Executive Committee members Monica Webb and Steve Nelson interviewed about the project on WGBY’s Connecting Point. Video of the August 13, 2011 official formation of the WiredWest Cooperative. 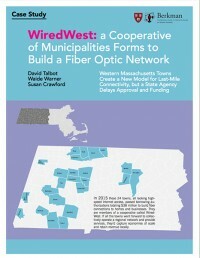 Local residents, businesspeople, educators, legislators and community leaders talk about the challenges for Western Massachusetts of inadequate broadband – and the possibilities that a state-of-the-art fiber-to-the-home network would offer.